I love everything about Astrantia, their shape and form and ability to work within a naturalistic or more formal planting scheme. The only bad thing about them is that they prefer poor-draining soil and this means that I can’t plant any in my own garden! 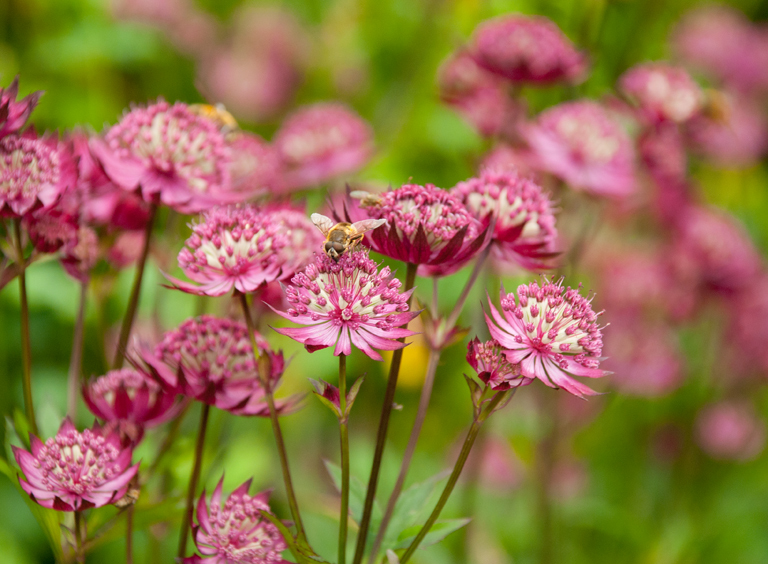 Commonly known as Masterwort, Astrantia are herbaceous perennials that grow in full sun or semi-shade and prefer to be planted in a sheltered positon which, as I mentioned earlier, ideally needs to have moisture retentive soil. 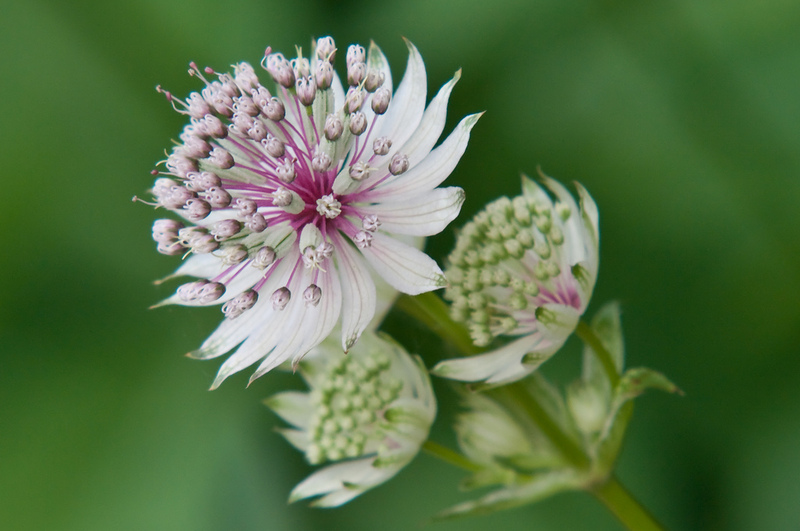 Astrantia major has greenish-white flowers flushed with pink and there are many pink vatieties available also. 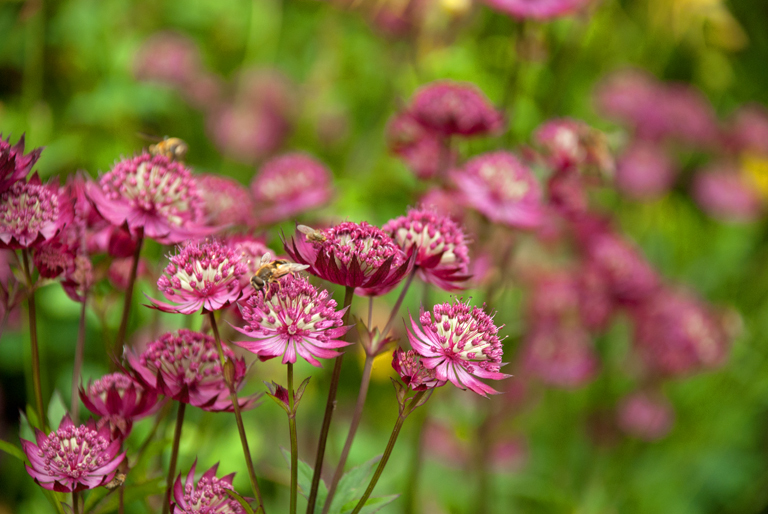 Depending on the variety, most astrantias will grow to a metre in height, producing a good clump of flowers which lasts for a good few weeks in summer. 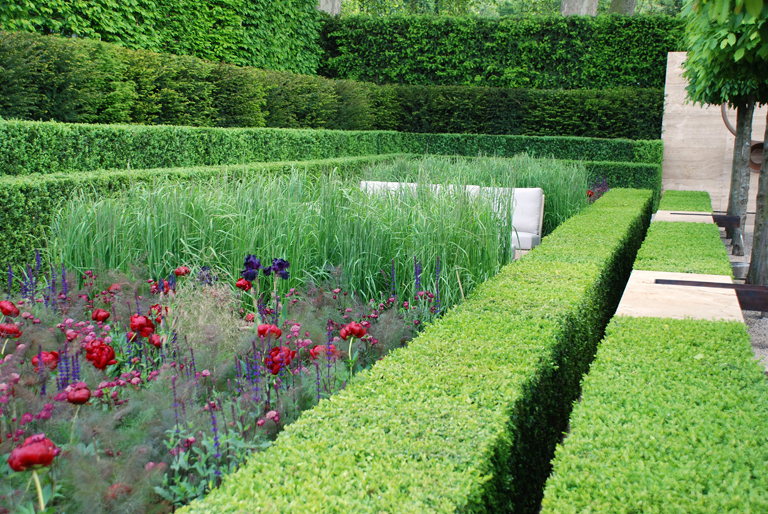 It was my favourite garden at Chelsea that year – the strong contemporary lines of the hard landscaping, perfectly balanced with the hedges and trees. 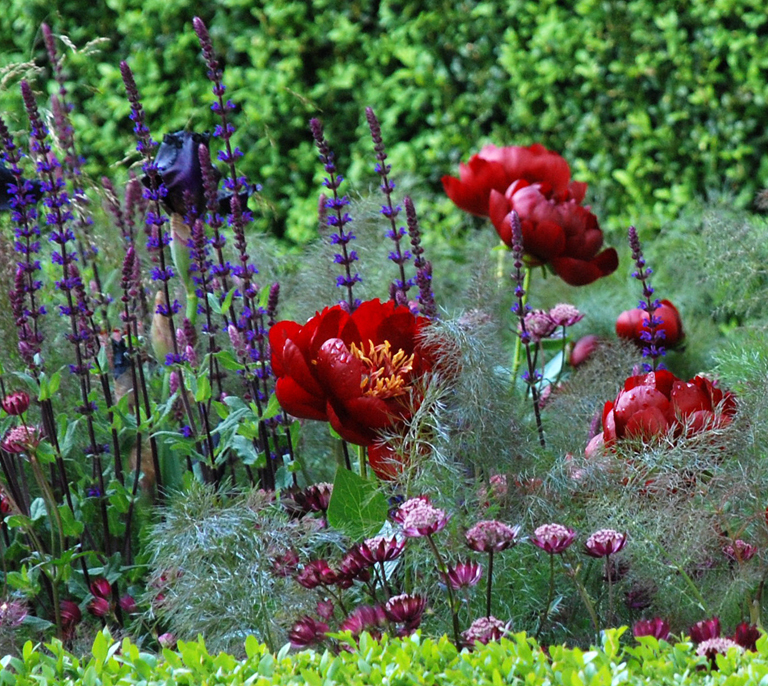 The planting was soft and frothy…just like the bubbles of a glass of champagne. Simply stunning! 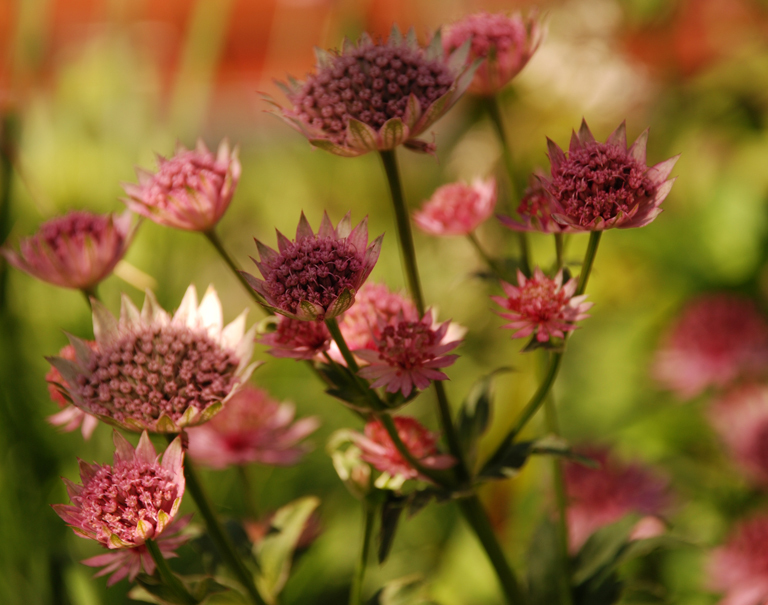 I love astrantia – I have the white one in my front garden. And these photographs are just gorgeous! Hallo, could you tell me the name of the salvia? It’s Salvia nemerosa ‘Caradonna’ – one of the best I think!